It looks like the AuraVisor head-mounted computer system is about to become a reality, with its Kickstarter campaign racking up more than £73,000 in just over 48 hours. 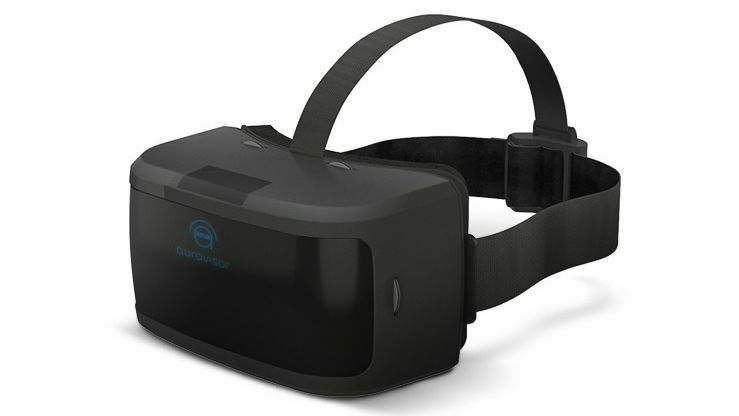 The VR headset, which is the first virtual reality system to come with a built-in computer - removing the need for a connected PC - allows 2D movies and games to be viewed in stereoscopic 3D, with the AuraVisor capable of being connected to both PlayStation and Xbox consoles via HDMI. The system is equipped with a 5” TFT backlit screen capable of outputting 1080p video, a HDMI 2.0 port, Micro SD card storage, built in WiFi and also ships with its own Bluetooth games controller. In addition, the system offers a 100-degree field of view. Audio can be delivered to the headset via a line-in, or wirelessly by Bluetooth, while a scrolling graphical interface allows you to select from its various operation modes. The pledge goal lies at £100,000.